Jackson Pollock (American, 19121956) opted for an early exit from high school in California to study with Thomas Hart Benton at the Art Students League of New York. 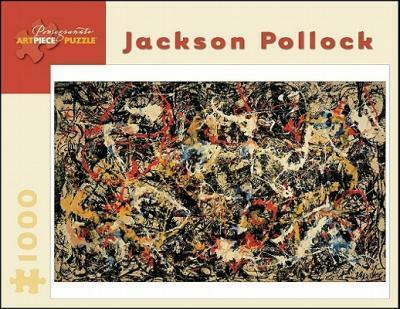 After gleaning what appealed to him from the Regionalists, Mexican muralists, and Surrealists, Pollock worked for the Federal Art Project from 1938 to 1942. By the mid1940s Pollock was painting in a wholly abstract manner, and in 1947 he arrived at the drip and splash style with which he is most often associated.